Shifting from Windows to macOS can be tough for most people. It gets tougher if you use a lot of Windows-only software. Of course, you can find macOS alternatives for your favorite apps but that doesn’t work all the time. That is why, at least once in a while, you think about how to run Windows apps on Mac. This way, you will be able to enjoy (almost) the same app experience on your Mac. As it happens, there are a number of solutions to run Windows on MacBook Pro. It is, in fact, handy, because one method would not be suitable for everyone, you know. 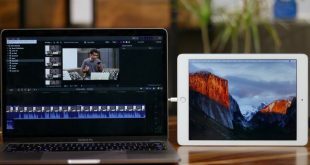 In this article, we have listed some of the best ways on how to run Windows apps on MacBook Pro and iMac. The following methods also work on MacBook Air, but the performance is less than satisfactory. So, will address MacBook Pro and iMac only. Not all these methods will work on every Mac out there. You will have to check aspects like storage space, processing power, and memory before proceeding. Unlike Windows, which can not run macOS. Mac, on the other hand, can easily dual-boot Windows and macOS using a built-in tool called Boot Camp Assistant. The catch here is that you can run either macOS or Windows at a time. So, you have to reboot your device for accessing Windows apps. Of course, when compared to using an entirely different Windows PC, this method makes sense. 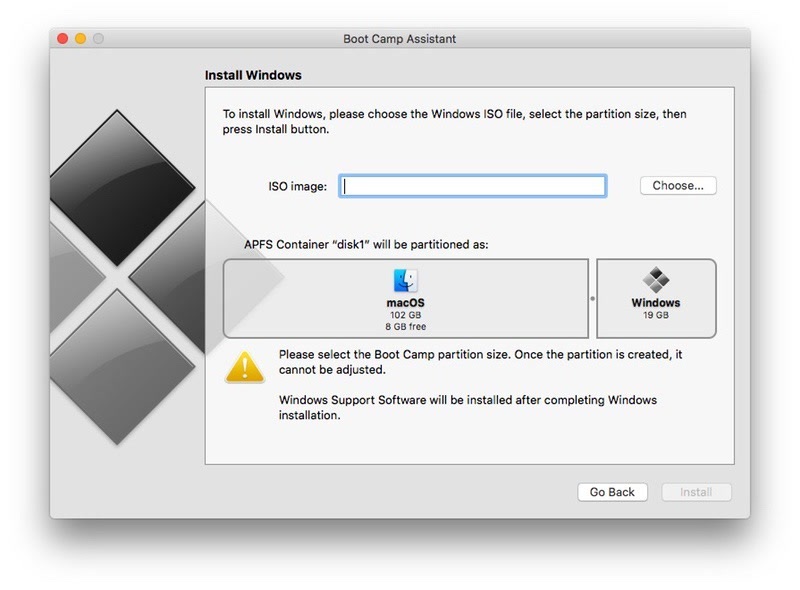 Boot Camp lets you install Windows alongside macOS, by creating a different hard disk partition. Since there is a Boot Camp assistant, you can easily shift between the two OSs. It should be noted that when you create a dedicated Windows partition inside your Mac, you get complete hardware support. Suppose you want to play some Windows-only games. Then, Boot Camp is the best option, indeed. Before you start, you will need a 16 GB flash drive and Windows ISO file, to create a bootable drive to install Windows. Just launch the Boot Camp app on your Mac and proceed with the instructions. At one point, you have to partition the hard disk accordingly. Depending on the size of your Mac HD, you can allocate the sufficient amount of space to the Windows installation. Your Mac needs at least 2GB of RAM (most newer models have 8 GB) and at least 30GB of free hard drive space to properly run Boot Camp. Then, you have to go through the standard Windows installation procedure. Once done, restart your Mac and hold down the Option key until you see the boot manager. From there you can select Windows or macOS. Since you are not sharing your resources with other OS, the performance will be better. Installing Windows on Mac using Boot Camp is the best choice when you need performance. If you want to play some Windows-only games or run some heavy-duty Windows apps, this option is the best. As we said earlier, there are some downsides. 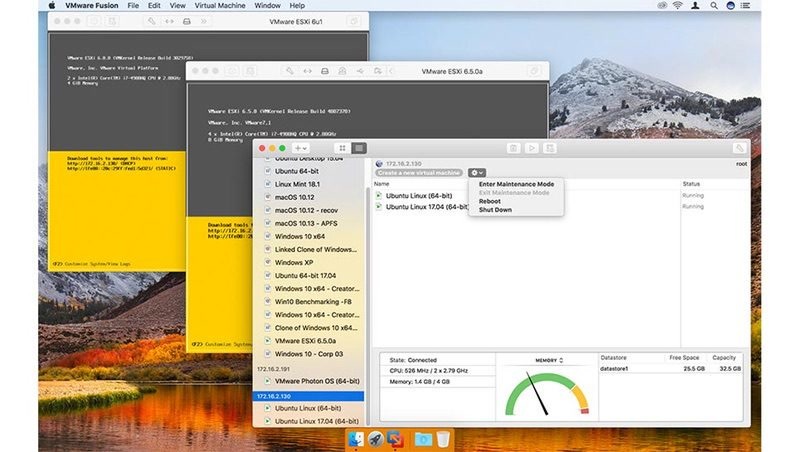 Making a virtual machine inside your Mac will let you run Windows apps. Because you are running a system inside your Mac environment, there is no need to reboot the computer. Whenever you want to use Windows apps, you can simply launch the virtual machine and start working. It has to be noted that we are using the popular, free and open source software, VirtualBox. If you want better UI, go with VMware, though it’s paid. Now, VirtualBox is not only powerful but also hassle-free. You can install it on your Mac and create a virtual machine that runs on various platforms, not just Windows. For instance, if you want to install Ubuntu within the Mac environment, VirtualBox is the perfect option. For now, let’s talk about how to use VirtualBox for running Windows apps on Mac. Setting up VirtualBox is really simple. You can download and install the program on your Mac and launch it. You will have to provide the Windows 10 ISO file to proceed. In the upcoming sections, allocate the amount of virtual RAM and Virtual hard-disk space. There is also Dynamic Setting, where the system would consume the required amount of storage space. After this, you have the standard Windows installation procedure. Once you have provided the serial key, it lets you run Windows apps seamlessly. Depending on the Mac performance and storage space, you will be able to create as many virtual machines as you want. VirtualBox is the best option if you need a full Windows experience within your Mac environment. 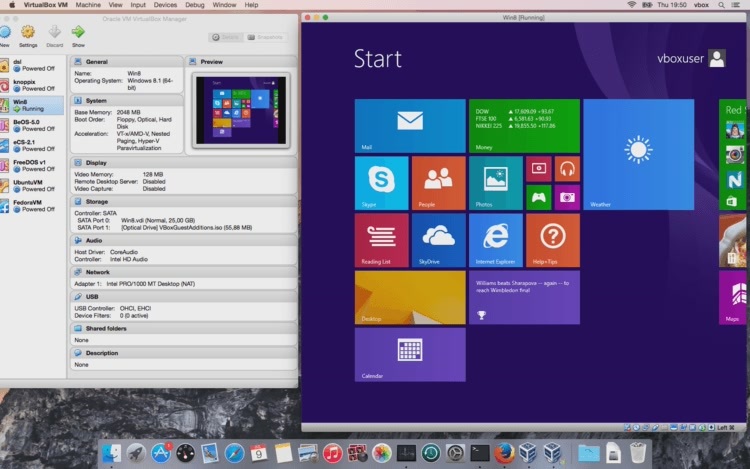 As we’ve said, you will be able to run Mac and Windows apps side by side. Although it’s not perfect, you can give it a try. Lower performance is a major downside, though. In the above method using VirtualBox, performance was the real issue also it didn’t have the best looking UI. Parallels Desktop is quite an answer for that. 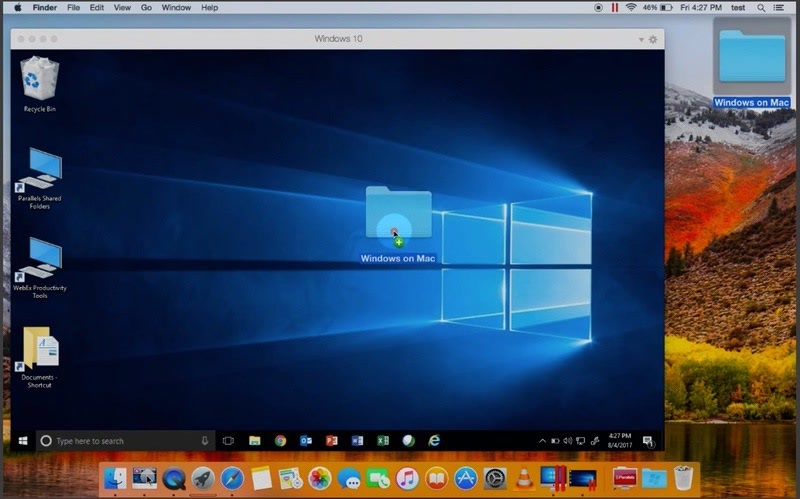 Parallels Desktop lets you run Windows and macOS apps side-by-side without making a compromise in the performance sector. This tool is recommended for people who have recently shifted to Mac from Windows. Of course, Parallels Desktop is a paid software ($74 with 14-day free trial). It has been optimized to offer equal performance to both the Windows experience and macOS experience. 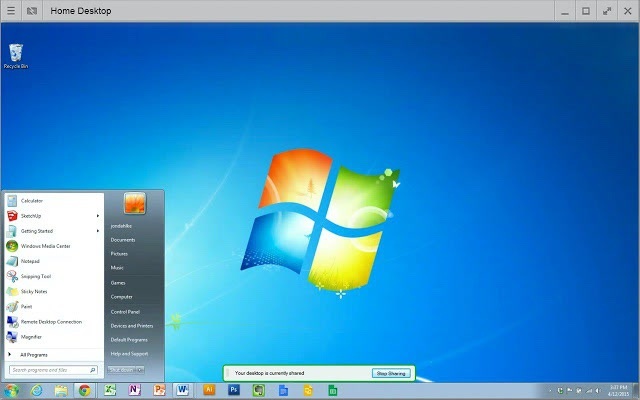 You can run a virtualized version of Windows 10 and run your favorite apps side-by-side. Depending on the version of Parallels Desktop you have, you can have up to 128 GB of virtual RAM and 32 Virtual CPUs. Parallels Desktop lets you create a Windows experience in two ways. You can either install a Windows PC all fresh. Or, if you already have a Boot Camp partition ready, Parallels Desktop will re-use it. Unlike Boot Camp, you will be able to run Windows and macOS at the same time. Once the standard installation is done, you’ll be able to launch Windows apps from the Mac dock! As said earlier, apart from a performance boost, Parallels Desktop lets you run both apps at a time. Thanks to seamless integration, even file management would work fine. You will have to pay extra every year ($50) for the new update. Parallels Desktop is the best option for running Windows apps on Mac with full performance. Normal users and professionals will love the awesome level of integration and resource management options. The tool is even offering Touch Bar support for Windows 10. If you have ever used Linux distros, you may have heard of Wine. It’s a utility that lets you run Windows apps in other platforms. Fortunately, Wine is available for macOS as well. It lets you run Windows apps on Mac without rebooting your computer. The best part is that you don’t even have to create a virtual machine to do this. Now, WineBottler for Mac isn’t a perfect solution. There are glitches for sure. However, you will be able to run most of the basic Windows apps without any problem. Be it browsers like Internet Explorer, media players or some non-heavy games, WineBottler would handle it perfectly. It even lets you install some popular programs directly from its interface. WineBottler comes as a nice package for macOS installation. You can download and install it on your Mac. It lets you either choose the programs by yourself or simply run the exe or msi file. In either case, WineBottler would start running the program on your macOS screen without any hassle. WineBottler offers compatibility with the latest macOS High Sierra, which is great. The main perk here is that you don’t have to go through the traditional Windows installation procedure. As we said earlier, WineBottler is completely free to use. That having said, you can always make a donation if you’re interested. Winebottler beta was last updated for Mavericks. 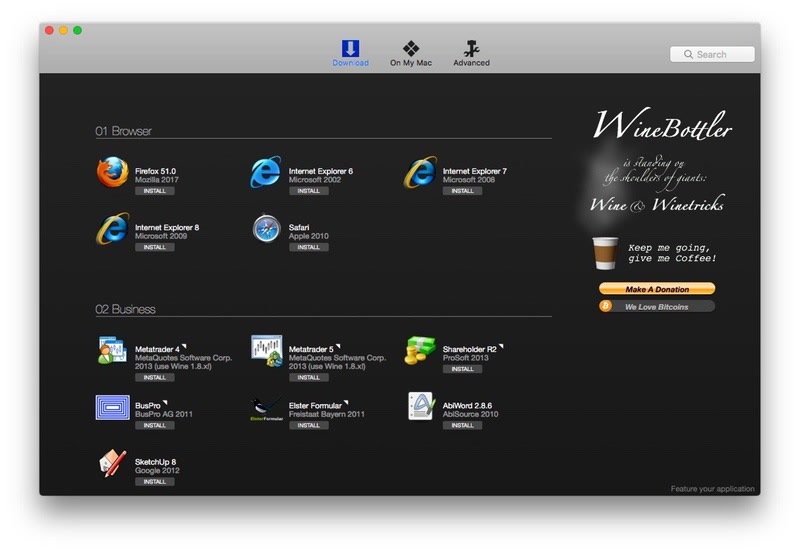 WineBottler is the best way to run simple Windows apps on your Mac. You don’t have to worry about techy stuff like virtualization or Windows key licenses. You can also run Windows apps and macOS apps completely side-by-side. WineBottler is free to use as well. CrossOver for Mac is an awesome tool that lets you run Windows and macOS apps at the same time. It was developed from the core code of WineBottler, but there are major improvements. Like, Parallels Desktop, CrossOver for Mac lets you launch Windows apps from the Mac dock itself. However, it doesn’t involve virtualization or Windows installation. There are some other perks as well. For instance, CrossOver for Mac offers access to a big library of known software. As we did in WineBottler, you can use exe files as well. Also, you are not losing storage space since CrossOver for Mac doesn’t need a partition. If you don’t want all the hassle of installing Windows and other techy things, this would be the best choice. In case you didn’t guess yet, CrossOver for Mac is a paid software ($15 per year). You can download and install it from the official website. Post installation, you can add favorite Windows apps to the collection. As said earlier, it lets you search for popular software and download the program via CrossOver for Mac. Once the installation is done, you can launch the Windows app from CrossOver interface. Compared to WineBottler, CrossOver for Mac offers a better experience. You also get a better collection of software to install. Likewise, CrossOver for Mac lets you find an awesome collection of help articles and video tutorials. CrossOver for Mac is for you if you don’t want the hassle of virtualization or partition. Compared to any other solution we listed, CrossOver for Mac offers better support, integration, and usability. Although you have to pay for it, it’s less than what a Windows license would cost. VMWare Fusion and Parallels Desktop are somewhat similar when it comes to running Windows on Mac. In spite of that, there are some differences too. Most people go for VMWare Fusion when they need powerful virtualization experience on their Macs. Compared to other solutions here, VMWare offers a notable amount of customization as well. Just like we discussed in the case of Parallels Desktop, you can import an existing Boot Camp partition. If you have an old Windows PC, you can import that too. Compared to the other virtualization tools we’ve seen, it gives more importance to performance. It also offers better support for other products from VMWare such as cloud integration. Installing and running VMWare Fusion on Mac is pretty easy. If you have used VirtualBox in the past, you will have no trouble with the process. Once set up, you can click on the + button and proceed with creating one virtual machine. As we said earlier, VMWare Fusion lets you customize the virtual machine as much as you can. You also have an option to create a Custom Virtual Machine, which offers better control. This option would be better if you need the virtual machine for professional needs. As we said, VMWare Fusion is the best option for professionals who need a Windows PC within the Mac. It’s offering better control over the virtual machine and how it functions. Normal users, however, may find other options more suitable. Some might say that this isn’t even an option at all. However, if you think the abovementioned options can’t work out, you should try this. 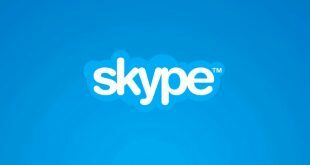 In this case, to use Windows apps on Mac, you will actually have to use one of the best remote desktop clients. 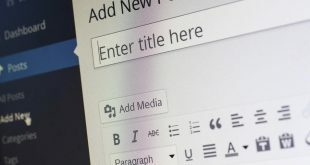 For this, you should have a spare Windows PC that you can connect to. As we said, the fact itself defeats the purpose of the method. If you think that works, there are some methods out there. First, you can use Chrome Remote Desktop that is quick and intuitive. You just need Chrome installed on your Mac as well as the Windows PC. On the other hand, if you need some professional screen-sharing features, you should go for TeamViewer, which is also a free program to use. This is the worst-case scenario option, as we said. We’d recommend this option only if others don’t work out in your case. There are a lot of downsides, such as the need to have a real Windows PC and the necessity of having a powerful internet connection. We hope you loved the 7 recommendations for put Windows on MacBook Pro and iMac. Depending on the need and your budget, you can choose between the options. 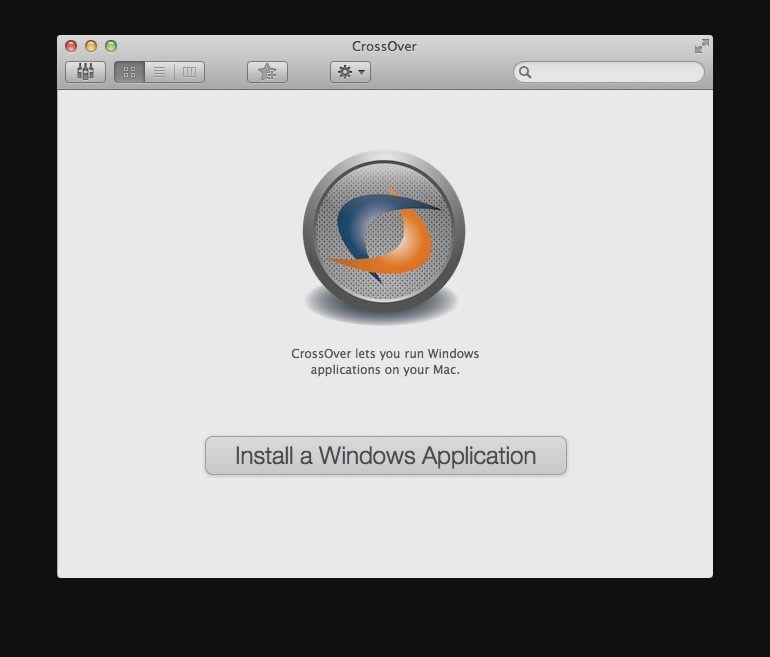 If you’re ready to pay and want to use Windows apps on Mac seamlessly, we’d recommend CrossOver for Mac. On the other hand, if you are ready for virtualization and associated tech, Parallels Desktop and VMWare Fusion are good options. On the other hand, if you don’t mind having an entire Windows OS on your Mac, go for Boot Camp method.